Curd in India and Pakistan is actually known as yogurt in the rest of the world, irrespective of whether it is made at home or in a factory. 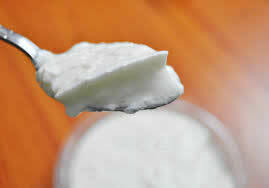 Curd is basically the solid portion of the milk after it is spoilt or seperated on purpose. Cottage cheese, or as it is known in India "paneer", is a type of cheese that is made from this curd. 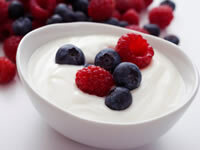 Yogurt is what is called in India as curd or "dahi", but the world definition of "curd" is different, i.e. it is the curdling of the milk. Man I suppose you confused curd with what is known as "paneer" in india. It is paneer that is made by adding lemon juice , not curd. To make curd, we simply add a bit of curd to the milk. The bacteria present in the curd does the rest of the job by turning the whole of milk into curd. Categorical answers, clarity and comprehensive. Excellent!